Department of tourism and Civil Aviation in association with Age Care India Himachal Chapter will organise a seminar at Shimla during April/May, 2011 on promotion of Tourism in H.P.-association of senior citizens. Director, Tourism and Civil Aviation Dr. Arun Kumar Sharma, said that Tourism was one sector in which senior citizens could make contribution in several ways. 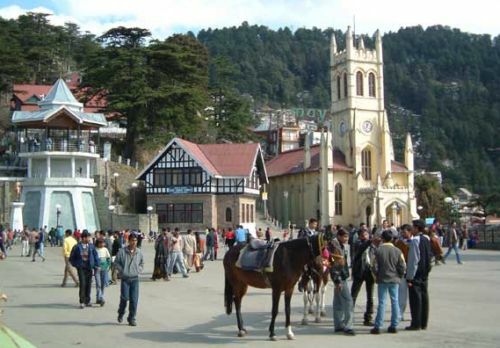 He said that senior citizens having a long time memories of Shimla town can engage the tourists in interesting tales, anecdotes and local titbits. He said that aged people were better guides because of life long intimacy with the town and knowledge of places. The old people can also take around the visitors to various places of interest with better skill of narration and stories. Senior citizens are more courteous and affectionate and thus attract more appreciation from the visitors and company of senior citizens will impart a feeling of security.